Roger Goodell says any discipline for Robert Kraft will come once he has "all the facts"
At the NFL’s annual meeting at the Biltmore Arizona on Tuesday, commissioner Roger Goodell touched base on the Robert Kraft controversy. 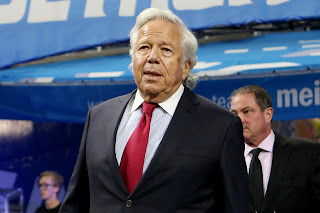 Earlier on that same day, Kraft entered a not guilty plea in his case of allegedly soliciting prostitution and requested a jury trial. Goodell was also asked at the meeting if getting “all the facts” meant that he would wait to determine a punishment until Kraft’s case was resolved. "When we get all the information, we'll make determinations. I'm not going to speculate on where we are or my views on anything. Until we get all the information, we're not going to make any discussions or comments on that." 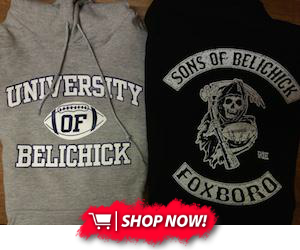 The commissioner was very persistent in his answers and made one final note that the Personal Conduct Policy is his responsibility, meaning that he would be the one to determine any upcoming discipline for Kraft, if there is to be any handed out.